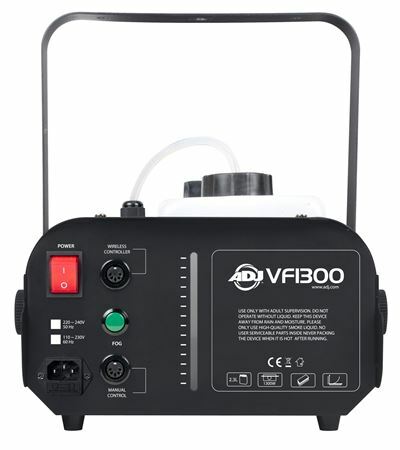 Order your ADJ VF1300 Fog Machine from AMS and enjoy 0% Interest Payment Plans, Free Shipping, Free Extended Warranty & 45 Day Money Back Guarantee. 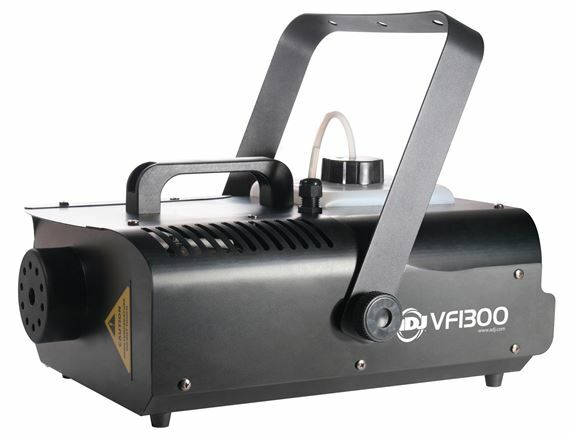 The ADJ VF1300 is a 1300W mobile Fog Machine that is great for mobile entertainers, medium size nightclub and bars, bowling centers and special effects productions that want to add atmosphere to their events, plus it allows people to see the beams from the lighting fixtures. 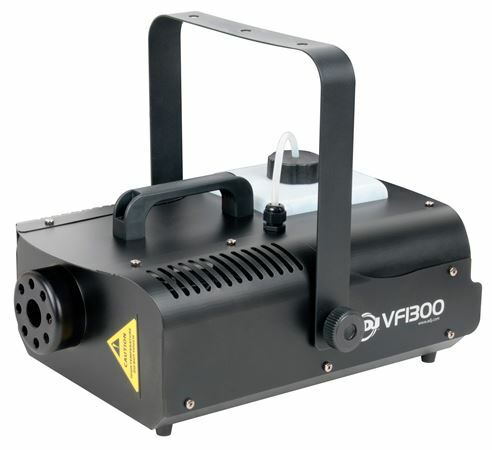 The VF1300 is equipped with a high efficiency heater that quickly burns through the fog liquid. It comes with a 2.3 liter external fog fluid tank, has a fog fluid level indicator, comes with a wired remote control, and uses water-based fog fluid. Advanced features include: Electronic Thermo Sensing (ETS) for optimum heating levels, and a low fog fluid shut off sensor to protect the pump. This product performed well. It exceed my expectations. It has a very fast heat up time. Used the adj fog and the output was nice and I filled up a large room with ease. Bottom line it is a great product would buy another one. I luv it! Kicks out so much fog in great amounts! I have a dance floor that can fill atlest 300 people. Fills it in a matter of seconds. Way Kool, Way Kool!! Very good product! 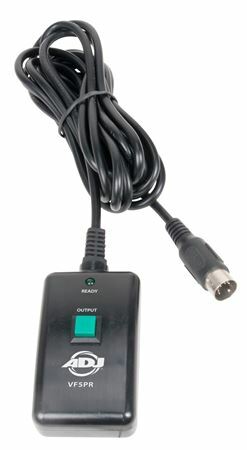 The option of wired and wireless controllers is a plus! Beware that it will set off certain smoke detectors but for the places where I could use it, it has worked well. 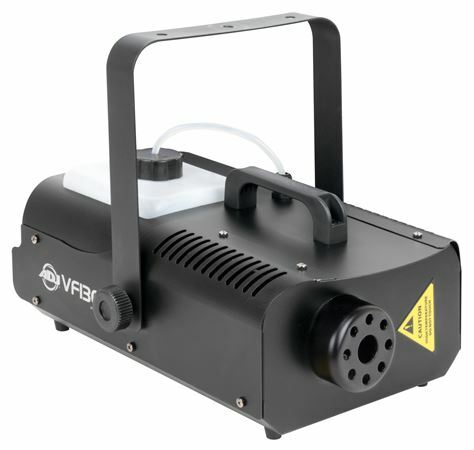 This fog machine beats the pants out of any party city fogger out there! The fog output from this machine is AMAZING!I am very happy with my purchase and and with AMS!!! GREAT PRODUCT GUYS!!! Excellent output for a cheaper price! Good quality.happy with the purchase..